James Moore gives Peugeot’s commercial vehicle expertise a thorough examination. 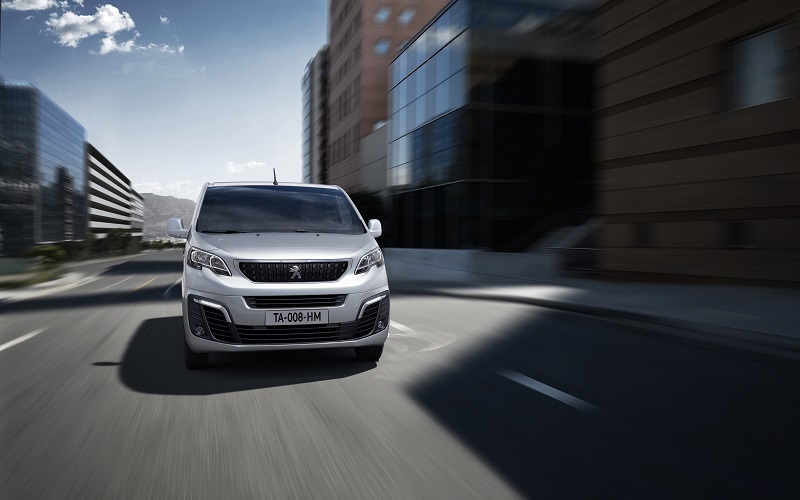 On first appearances alone, the Peugeot Expert exudes presence on the road with a short, high bonnet and relatively low windscreen highlighting what the company has described as a robust, yet modern design. Yet this design does actually offer some practicality too. Due to such a low glass area, there is increased visibility for the driver, which is sometimes lacking in vans of a similar size, giving a great all-round view for better peace of mind. The spacious interior windscreen area also allows for plenty of room for the much needed gadgets modern builders are likely to have – dash cams, sat navs, fidget spinners etc! While some of the higher specifications include a seven inch touch-screen, with in-built navigation system, it is good to know that the space is there if needed. The rest of the cab offers similar advantages. There are three seats up front, each with plenty of room for colleagues, alongside numerous cubby holes and interior pockets to store phones, wallets, lunch. In addition, there is an eight litre storage compartment underneath the two passenger seats providing plenty of room for workwear and boots. Even in the lower specs on offer, all the important socket connections are available – Aux, USB and 12V – allowing for plenty of light entertainment when going from job to job. So what’s the cargo area like? In truth, it’s excellent. There are three sizes available to choose from, starting at the compact option at 4.6m, up to the longer version which measures 5.3m in length. All have a maximum height of 1.9m, which allows for plenty of storage space, while also making the Expert well suited for urban journeys on busy roads. Importantly, the load compartment is easily accessible, with sliding doors on either side as well as double doors at the back, meaning tools can be reached with ease, even if placed with little thought when in an inevitable mid-morning rush. It drives well too. These days vans are steadily becoming more and more like standard cars to drive, and the Expert is no different. The upholstery is comfortable, as is the suspension – tested vigorously on the numerous speed bumps that litter my local roads – and it pulls away with ease. 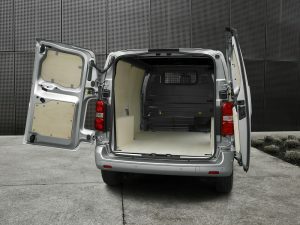 This is also the case with tools and job materials in the back, with the van able to hold up to 1,400kg worth of load weight. The brakes are initially a bit sharp, and the steering relatively light, but once you get used to these quirks it is an all-round easy and enjoyable drive. From a safety perspective, there are plenty of options to put minds at rest. 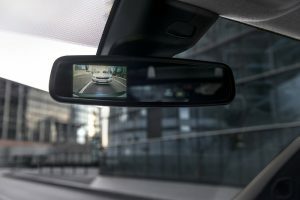 There is a driving time monitoring system, advising users to take an often much-needed break, blind spot monitoring which alerts drivers to the presence of vehicles in their blind spot, as well as a parking assistance programme featuring VisioPark 1 which provides a 180° overhead view of the rear zone of the vehicle. You can also specify Grip Control; an enhanced traction control system extending the usability when on roads with lower levels of grip – particularly useful in wet and icy conditions in the unpredictable winter months. Whilst many of these are optional extras, Peugeot has ensured that all bases are covered when it comes to safety for potential buyers. With the latest BlueHDi 1.6 and 2.0 litre diesel engines, there is an aura of reliability given to the Expert. Having already been tested in the passenger cars, there is unlikely to be too much concern over potential failures, whilst the resulting mpg benefits are notable. The 1.6L, 115bhp garners the best results at 55.3mpg, and simultaneously only produces 133g/km of CO2, and the average mpg figure stands at 52.3 across the range. This is efficiency not to be sneered at, particularly when it meets the Euro6 standards, consequently offering installers long-term savings in the process. 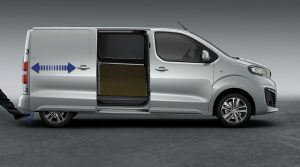 The new Peugeot Expert is a van offering practicality and efficiency in abundance. The driving performance is similar to a large passenger car, meaning it can cope with both rural and urban environments and ensuring buyers can get from job to job easily, while carrying all the tools, workwear and equipment they need for the task. Oh, and yes, it does have those all-important cup holders for your morning brew! For more information on the Peugeot Expert click here.